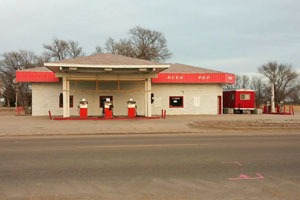 Property description: Large building! 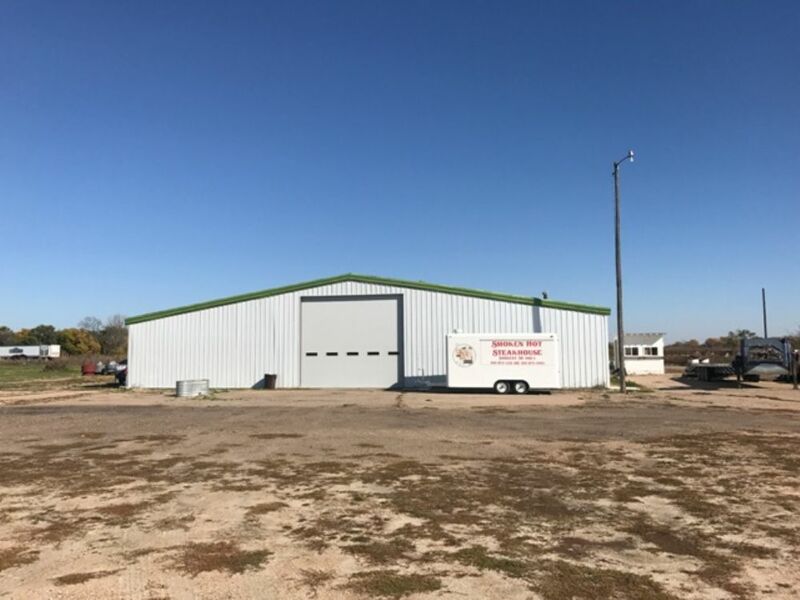 This building is 70' x 80' with a 40' x 70' addition in the back sitting on 5.5+/- acres on the outskirts of Sargent right along Hwy 183. Legal Description: Lot 3, irregular tract in part of the West Half Eleven of the West half (W 1/2 W 1/2) of Section Eleven (11) Township Nineteen (19) North, Range Eighteen (18) West of the 6th P.M., Custer County, Nebraska. One of the great housing programs (HUD) that Sargent has to offer is the Key Villa Apartments for low income independent elderly and handicap. Key Villa Apartments is not just housing for the elderly and handicap but a community of friendship, activities, and being a part of a small town that appreciates and respects the elderly and handicap. Key Villa offers one bedroom apartments, with a spacious porch. You must apply to become income eligible. Rent includes utilities, water, sewer, & maintenance. 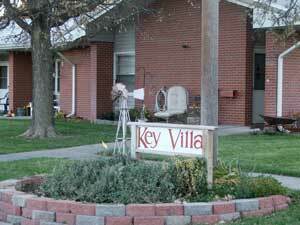 Key Villa also offers tenants full use of the community room and laundry room. They do not offer nursing care but there are programs in the area that can help. At this time Key Villa has openings. These can go quick but you can always get on a waiting list. Hours: Mon-Fri, 9 a.m. - 12 p.m. Foot Care Clinic! Open to the public @ the community room on the 1st Wednesday of each month from 9:00 am to 11:00 am. Nurses from Valley County Hospital come down and care for your feet! They'll even massage them! Sometimes they'll even have entertainment! Wow! Thank you to the nurses that offer that service. VIP (Visually Impaired People) Meet 1st Friday of each month @ 2:30pm. They talk about how it feels to be blind and get to together for support and friendships. If you would like to attend please call Darlene before you head to the meeting. This is a free service provided by the City of Sargent. 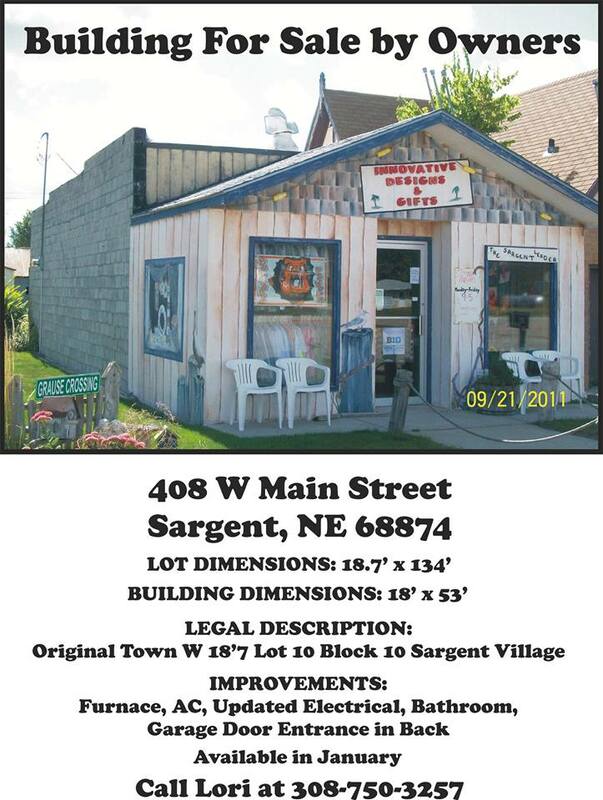 If you are a resident of Sargent and would like to rent or sell your home email us or call the city office (308-527-4200) with the information.